Councillor Xola Pakati is the Executive Mayor of Buffalo City Metro Municipality which encompasses East London, King Williams Town and surrounding areas. He has been instrumental in leading ongoing substantive change and institutional transformation in the city through effective leadership and guidance to municipal officials. 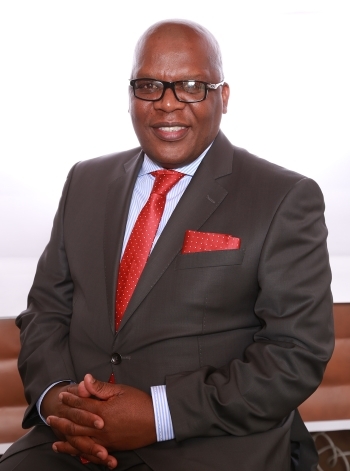 Previously he served as the Deputy Executive Mayor of the City where he was assigned the responsibility of leading the process towards the development of the City’s first ever long term plan, the Metro Growth and Development Strategy (MGDS) Vision 2030. The MGDS has now been adopted by council and it is seamlessly being implemented through the annually reviewed five year Integrated Development Planning process. Before joining the metro, Councillor Pakati was the Chairperson of the Portfolio Committee on Economic Development, Tourism and Environmental Affairs at the Eastern Cape Legislature. His responsibilities during this period were to provide overall strategic oversight to the Department of Economic Development, Eastern Cape Parks and Tourism Agency(ECPTA), COEGA Development Corporation(CDC), Eastern Cape Development Corporation(ECDC), Eastern Cape Gambling and Betting Board (ECGBB), Eastern Cape Liquor Board (ECLB) and the East London Industrial Development Zone (ELIDZ). He served 23 years in the leadership ranks of the trade union movement and in seven of these years, he was the Provincial Secretary of the Congress of South African Trade Unions (COSATU) in the Eastern Cape. He was the first Deputy President of the South African Transport and Allied Workers Union (SATAWU) after its formation in 2000. He is a dedicated political activist currently serving as the Chairperson of the ANC in Dr WB Rubusana Region.